This week, Grace Lee Boggs featured some of my recent entries about presidential candidate Barack Obama in her Living for Change column of the Michigan Citizen. Having been a movement activist for over 50 years, GLB has a keen sense of the pulse of our nation, and I have always appreciated her dialectical analyses. Together the Boggs Center and members of Beloved Communities Network have been discussing the significance of Obama, the movement that surrounds his candidacy, and the potential for Obama’s campaign to spark actual change. 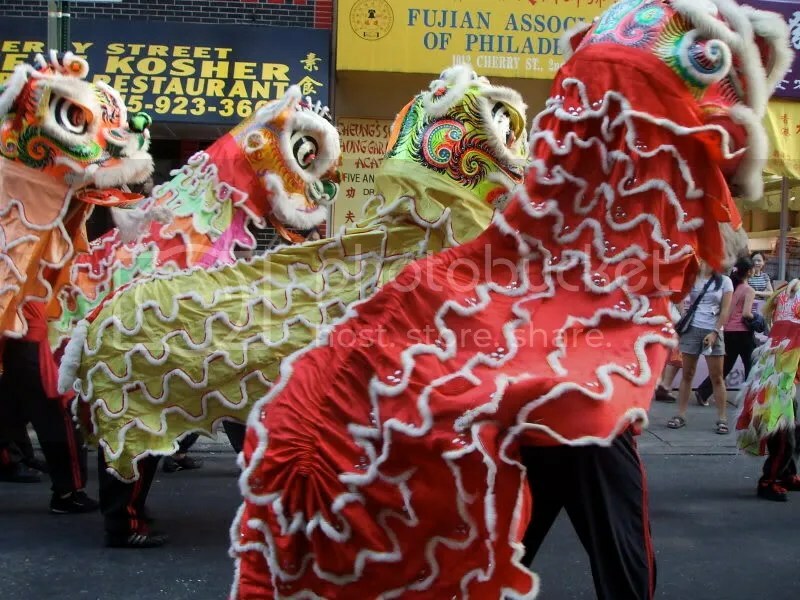 Last Saturday I went to check out the Mid-Autumn Festival organized by Asian Americans United and the Philadelphia Folklore Project. The first time I had heard about this event was several years ago through my involvment with the Detroit Asian Youth Project and our efforts to engage youth with cultural arts and activism. There’s a really dope documentary that tells the story behind the festival that captures the goals to use folk arts to build intergenerational relationships, pass down cultural traditions and build a stronger sense of community. I was in Michigan last weekend for a short visit and a knee docter appointment (which I’m happy to report that I passed with flying colors!). Driving through the barren, calming roads of Detroit was a stark contrast to the fast-paced congestion of Manhattan. Most of all, it reminded me that there are many blog posts and reflections that are long overdue, particularly the one below, which I promised back in April. During the process of applying to graduate school, I wrote a lot about how Detroit and how this city has been a generous teacher to me, helping me get on the track to pursue a degree in landscape architecture. I was too paranoid to post any text from my personal statements, for fear of jeopardizing my application, whether or not I had any real evidence to support this fear. Now that I’ve been admitted to school, I feel better about posting a blog-appropriate version of my personal statement. Hmong Teen Killed by Police: Community Responses to Police Violence and Harassment in Warren and the Greater Detroit Area. Since the fatal shooting of Hmong teenager, Chonburi Xiong, by Warren, Michigan police officers in September 2006, the “Committee to Support the Xiong Family,” an ad-hoc coalition of students, teachers, community members, and organizations, have joined efforts in not only seeking justice for the Xiong family and address issues of police violence against communities of color. On the morning of September 17th, Chonburi Xiong, 18, was shot twenty seven times by Warren police officers in his own home. The Warren police officers responded to a domestic call by the Xiong family the day before, sparked by an argument between Chonburi and his parents leading to Chonburi firing his gun several times in his home and taking off with the family car. Chonburi came home that night and went to sleep. Without having called the police, the Xiong family awoke the next morning to the Warren policy who stormed their home without a warrant, detained the family upstairs and went down to the basement where Chonburi was sleeping. He was shot 27 times and the family was taken into custody where they were not notified of their Chonburi’s death until later that afternoon. Not much time to develop this entry, but I wanted to share an update regarding the Xiong memorial. This week’s MetroTimes published a well-balanced article on last Saturday’s Memorial and Community Assembly for Chonburi Xiong. As a side note, I wasn’t at all keen on the title, “Hmong and Restless”, that they used for the cover. “Hmong and Restless”, a play on the TV soap opera “Young and Restless”, is an inconsiderate way to refer to the 27-shot killing of an Asian teenager and the community’s outcry. If the article were about the counter-culture of youth, that would be a different a different case..
One thing was certain: This guy pointed a loaded weapon at these police officers. The 27 times means nothing. The only thing the officers needed was the justification to shoot one time. The 27 bullets don’t matter. It was reported that nearly 40 shots were fired and 27 hit the young man. I’m not convinced that the police needed to shoot at all, but to say that 1 bullet is the same as 27 bullets is appalling. One could shoot an animal less times than that. I am not an expert on police procedures, but I do believe that there are steps of de-escalation that police can take to disarm a potential suspect. On the note of suspect, I don’t think that the police have stated what the charge was against Xiong. Was there even a warrant to enter the house? My name is Pang Blia Xiong. I was born in a small farming village in Laos on December 31, 1956. I did not have much of a childhood because my country was torn apart by war. When the Americans came to Laos, they asked our people, the Hmong, to help fight the Communists. I did not know much about America, but my parents told us it was our duty to help the Americans. My father was a Hmong military leader who was killed in combat in 1969. That same year, I joined the army at the age of thirteen. Although I feared for my life at every moment during the war, I managed to survive. But after the Communists took power in 1975, everybody who sided with the Americans became an outcast in Laos. My family fled to the woods to survive. For four years, we were constantly running to avoid the gunfire from Communist soldiers. Sometimes, we went for days without food. Many people from my village died—men, women, children, and elders. My family was lucky to escape many close encounters. In 1979, my family made it to a refugee camp in Thailand. I lived in the Ban Vinai camp for nine years. Housing conditions were poor and crowded, and we were only given small food rations once or twice a month. I met my wife in the refugee camp. We decided to come to America, when my wife was pregnant in 1988. My older brother had already settled in Wisconsin. He told me that I should leave the refugee camp because America was a better place to raise a family. Our first son, Chonburi, was born in Thailand as we were preparing to come to the US. My wife and I were overjoyed to become parents. In our culture, the first-born son is especially important because he will be the one to carry on our family name and heritage. We have four more children born in America. We came to Detroit in 1990, and I worked as a machine operator for an auto parts supplier. For the past eight years, I have worked as an assembly worker making auto parts for automotive engines. My wife worked as a dishwasher first, then as a machine operator. It was hard adjusting to a new country where people spoke a different language, but we both worked hard and did our best to support our family. We saved our money to buy a house in northeast Detroit, and I was proud to become an American citizen in 1998. In October 2003, we moved to a larger house in Warren. We did not know much about the city, but we liked the houses and we heard that our children could get a good education in the Warren public schools. For nearly three years, we always considered our neighborhood safe, and we trusted the Warren police. We know there are many good men and women on the force and that they have a difficult and important job. But we never imagined that our son, Chonburi, could be killed by police officers in our own home. We want the public to be aware that previous reports have contained many inaccurate statements about my family. We hope that the media will investigate this matter further and provide a more even-handed account. I ask everyone who is a parent, “If you lost your child in this manner, wouldn’t you be searching for answers? Wouldn’t you do everything you could to see if your child’s death could have been avoided?” My wife and I have filed our complaint because we want the court and the public to take a closer look at the facts of this case. In closing, we wish to thank all the members of the community, who have helped us to make it through this difficult period. We appreciate your support. We hope that we can all work together and that we can all work with the police and government authorities to ensure that all people are treated fairly. We deeply miss our son, and we do not wish to see any other parents suffer as we have. As of late, the media has been covering several incidents of violence against people of color at the hands of the police. For those in the Michigan area, the story of Chonburi Xiong, who was shot 27 times by Warren police, is still under the radar among many people in the community, in addtion to the increase of violence toward Hmong folks in the Midwest area. An ad-hoc committee has formed to support the Xiong family and raise more attention to police brutality and racial discrimination. If you are in the Michigan area, please attend this memorial event to support the Xiong family and demand justice. For those outside Michigan, feel free to share the information to your networks and illuminate how Xiong’s death is one among a pattern of violence against people of color. • Know your rights! Information about what to do if the police come to your door, etc. For more information: warrenincident (at) yahoo (dot) com or (313) 923-0797. My friend shared this article/blog post about revolunationary childcare with me recently. It is an exciting initiative in NYC that has very similiar objectives and principles to the Dreamers Dream for Children group. Do folks know if there are other such groups in the country? In this city that never sleeps, in which we are constantly moving, running on concrete and breathing clogged air, squeezing into small spaces that are stacked on top of each other, involving kids into our organizing work is a struggle in itself. On December 14, the Detroit Board of Education voted unanimously to allow FAME (Finding Alternatives to Military Enlistment) equal time to military recruiters in Detroit Public Schools. Though the efforts to counter military recruiters in urban areas and communities of color is far from over, this recent announcement is small victory! American Friends Service Committee has a good webpage all young people to take a look at when considering joining the military. I thought that working on grad school applications would take away from blogging. Instead, blogging has been a wonderful distraction to help me get through the painful application process. Lately the Detroit Asian Youth Project has been getting some great features in places like here and here! Being involved with this initiative has been a great learning experience, and it has come a long way since we launched it three years ago. In addition to the 6-week summer program, it now involves weekly after school sessions and monthly open-mics that are organized by the youth. A mix of Detroit residents and University of Michigan students serve as adult mentors. The most remarkable blessing is simply getting to know these youth and watching them articulate their stories. I have learned more about what it means to be Asian American through them, as they have also helped put into context my own experiences as a Taiwanese American growing up in a predominately white suburb. They are certainly more on point about the world than I was at their age. I look forward to seeing them grow and explore their full potentials in the years ahead. Check out DAY Project on MySpace, too!